The ballot committee behind Michigan’s new paid sick leave law will launch another ballot drive in 2020, saying a new Democratic governor won’t let Republican lawmakers scale back the proposal’s protections, as GOP lawmakers are attempting to do now. MI Time to Care, which spearheaded the sick leave law as a petition drive this year, on Monday filed a new petition with the state aimed at making the ballot in November 2020. The group’s decision comes as the GOP-majority Legislature debates a bill that would significantly reduce the amount of sick time Michiganders could accrue after it adopted the citizen-initiated proposal in September. The group said the political calculus for another ballot drive hinges on a new balance of power in Lansing starting in January — namely, the arrival of Democratic Gov.-elect Gretchen Whitmer, who has publicly supported citizen-initiated laws to require employers to offer paid sick leave and increase Michigan’s minimum wage. Whitmer will have veto power over Republicans, and could block efforts by legislative Republicans to scale back future proposals. “We just believe that the incoming climate would be more favorable to getting it on the ballot,” said Danielle Atkinson, one of the organizers of the MI Time to Care committee, adding that the ballot language will remain the same as the petition in 2018. Ballot petitions will have a higher hurdle to success in 2020, though. That’s because the required number of signatures from Michigan voters to send a proposal to the ballot depends on turnout in Michigan’s gubernatorial election, and this year, turnout was the highest in decades. Committees pushing citizen legislation will need to collect at least 340,047 signatures from registered Michigan voters, up from 252,523 this year. For constitutional amendments, like the redistricting effort backed by the Voters Not Politicians ballot committee, supporters will need to collect 425,059 signatures, up from 315,654 this year. Atkinson, for one, said she isn’t worried. The MI Time to Care committee raised more than $2.5 million for the 2018 election, state campaign finance records show. Much of that came from a single group, the Washington, D.C.-based Sixteen Thirty Fund. MI Time to Care was dissolved in November, state records show, though a spokeswoman said paperwork has been filed to run the 2020 petition drive through a committee of the same name. Mark Brewer, an attorney for MI Time to Care and also Michigan One Fair Wage, the ballot committee that pushed to raise the minimum wage, said the minimum wage effort has not yet decided whether to pursue another ballot drive, but all options are on the table if Republicans are successful in gutting the law this month during the state’s lame-duck legislative session. Senate Bill 1175, introduced by incoming Senate Majority Leader Mike Shirkey, would amend the sick leave law in an effort to give more flexibility to employers to offer sick time to their employees. The bill would reduce the amount of paid sick time an employee could accrue — 1 hour for every 40 hours worked, rather than for every 30. And employers would be required to offer at least 36 hours of paid leave, rather than 72, in a year. Notably, the sick leave law no longer would apply to small businesses with fewer than 50 employees. Before the exemption was introduced last week, small businesses with fewer than 10 employees would have been required to offer at least 40 hours of paid sick leave, with another 32 hours of unpaid leave. Before they were exempted, small businesses with fewer than 10 employees would have been required to offer at least 40 hours of paid sick leave, with another 32 hours of unpaid leave. “This maintains the spirit and intent of the citizen initiative while removing ambiguity,” Shirkey said during a Senate committee hearing last week. He could not immediately be reached for comment Monday. Republican legislators and business groups say the bill as drafted by MI Time to Care would have been too burdensome for business. Rob Fowler, president and CEO of the Small Business Association of Michigan, has said the problem with the sick leave law was bureaucracy, not the spirit of what it aimed to accomplish. Fowler told Bridge last week that it wasn’t clear in the law as written whether employers who offer general paid time off benefits, for instance, could count that leave as sick time. The bill, along with a separate bill to scale back a citizen-backed law to raise Michigan’s minimum wage, passed the Senate last week. A House committee is scheduled to take them up at 9 a.m. Tuesday. Brewer has vowed to file a lawsuit if the Legislature adopts both bills and term-limited Gov. Rick Snyder signs them, contending that it’s unconstitutional for lawmakers to adopt citizen petitions and change them in the same legislative term. Attorneys for a business group that challenged the minimum wage law argue that there is no such prohibition. "Brewer has vowed to file a lawsuit if the Legislature adopts both bills and term-limited Gov. 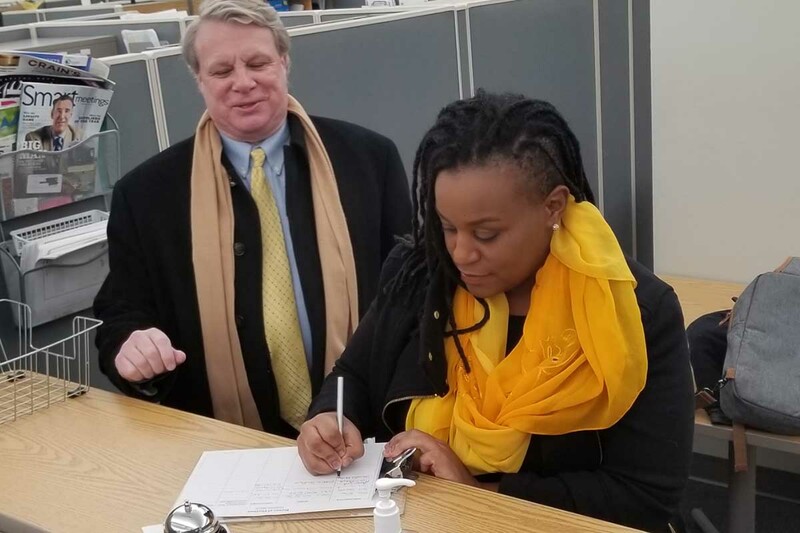 Rick Snyder signs them, contending that it’s unconstitutional for lawmakers to adopt citizen petitions and change them in the same legislative term." And by source, I mean Article AND Section. "[T]he legislature enacting an initiative petition proposal cannot amend the law so enacted at the same legislative session without violation of the spirit and letter of Article II, Sec. 9 of the Michigan Constitution of 1963." And, of course, common sense. The constitution writers did not allow the people to bring a law to the state only to have the Legislature, in the same turn, overturn said law. That would be dumb. And those who vote to take sick leave away from people after voting to put it in...well, it will be easy to see how the voters address them. I did not see one single GOP candidate in my region stand up and say they are opposed to allowing mothers to stay home with their sick children during the last election. This is a cynical undermining of the public vote. After reading the bills (not an easy task going through the journals and given the volume of legislation which has been introduced and passed through committee), my question to you is this; What SPECIFICALLY been amended? I believe Mr. Brewer's comment is based on a previous Michigan Supreme Court decision. I don't have the citations, though, and a quick Google search led me nowhere. I'd suggest the addition of employer required education funding for both employee and their dependents, employer provided child care, company car (a nice one! ), employer paid commute time and a paid 10 day vacation to Tahiti annually. There is no doubt that this would pass and it would do wonders for the economy! Clearly it is now time to pass a ballot to stop the EVIL OUTSIDE GROUPS from flocking into Michigan to steal our ballot proposals!!! How about "Michigan Voters who care and not EOGs"! There's one for all you "Voters Not Politicians" folks ... anyone? anyone? Hmmm... why could that be? Do you ever get tired of being so insufferable? The proposal passed. By a huge margin. Unlike the Right to Work law (which I know you just loved) which was expressly written and backed by outside forces (ALEC, Kochs, etc..) and shoved through without any public support during the lame duck a few years back. What say you? Sorry Bones, I screwed up my post here. But I'm not sure to what you are responding to. That the majority of voters are almost always in favor of giving out goodies to themselves if it's perceived that they will be paid for by someone else? Or that we should stop out of state organizations from funding inside ballot issues? Of course being insufferable, I'm not sure which of these you'd disagree with? Your first position: You argue from this childish position that assumes all taxes are bad, and anyone trying to address the fundamental, glaring inequalites inherent in the system is a greedy taker. You presuppose that the existing world order is good/moral, therefore anyone who would dare challenge it is an insolent moocher after a handout. You never gripe about corporations subverting democracy to increase their profits, but as soon as the masses want to reclaim their share, suddenly it's the end of the world. To your second point: I do have an issue with outside funding affecting the ballot, because I have an issue with privately funded campaigns. If we limit outside contributions without addressing the power of wealth on a democracy, then the DeVos family and the Chamber of Commerce would rule this state.